The Sofia University "St. Kliment Ohridski" is the oldest higher educational institution in Bulgaria. Its values are the result of centuries of cultural and educational traditions. Not only you experience some of the highly-ranked academic programmes, but you are also part of one of the most respected educational institutions in Europe. Today, Sofia University “St. 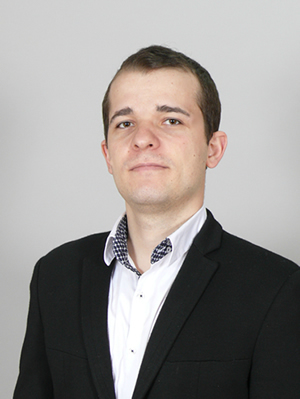 Kliment Ohridski” is a vibrant community of students, teachers and scientists who create compound, diverse and significant work in different research areas and who provide inspiration and stimulus for individual expression. Why should you study at Sofia University St. Kliment Ohridski? If you choose to study at Sofia University St. Kliment ohridski, you will live in the capital of Bulgaria. This will give you a multiple opportunities to participate in or simply attend international events and concerts and it will be much easier for you to find a part-time job in Sofia, Bulgaria. If you live in Sofia, you can also take advantage of the big international airport and catch a direct flight to many attractive destinations all around Europe! Also, the University is located in the city centre so it is close to many gyms, parks, cafes and subway stations. As for the University, Sofia University is the oldest and most famous university in Bulgaria so it has set the academic standards in Bulgaria. 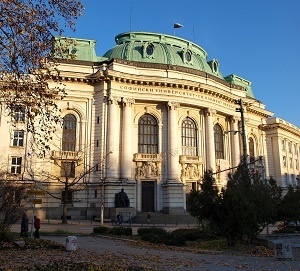 Most Bulgarian students dream of studying at Sofia University because of its prestige. In addition, the main building of Sofia University looks magnificent and beautiful - who wouldn't want to spend their university years there? If you study Medicine at Sofia University St. Kliment Ohridski, you will truly enjoy the personal contact you will have with professors. As only 50 students get admitted each year, professors know each students and will have time to answer each of your questions. In comparison to other medical universities that accept around 300 to 400 medical students per year and have the lecture rooms overcrowded, we truly believe that having over 50 students in your year is really beneficial. Of course, let's not forget that the diploma you receive from Sofia University St. Kliment Ohridski is internationally recognized. Sofia University St. Kliment Ohridski is an accredited university and Bulgaria is a member state of the European Union so your diploma will give you the chance to work abroad after you graduate. If you study Medicine in English at Sofia University, you will obtain a Master's degree that is also internationally acknowledged. The tuition fees at Sofia University are also cheaper in comparison to other medical universities in Bulgaria. Last but not least, if you study at Sofia University St. Kliment Ohridski you will enjoy the cheap living expenses in Bulgaria! Hence, you won't be spending much throughout your university years in Bulgaria. What can you study at Sofia University St. Kliment Ohridski? Sofia St. Kliment Ohridski offers many Bachelor, Master and PhD programmes in English. Bachelor's degree programmes in English at Sofia St. Kliment Ohridfski include Pedagogy of Media and Artistic Communication and Nuclear and Particle Physics. If you are interested in a Master's degree programmes at Sofia University, these are the programmes offered: Semiotics, Language and Advertising, Cultural Liaisons and Geopolitics of the European Union, Special Education, Financial Management (Double-Degree with the University of Montesquieu-Bordeaux IV), Applied Econometrics and Economic Modelling, Business Administration - Strategic Management, Business Administration - Human Resources Development,Genetics and Genomics, Biochemistry, Biology Teaching, E-Business, Public Administration, International Relations and Security Studies, General Psychology, Philosophy. One of the most desired specialty among future applicants is Medicine in English. It is a Master's degree programme. The tuition fees are 7700 Euro per academic year and students graduate within six years. There are only about 50 students which get admitted every year and they must sit an entry exam. Inter HECS - Study in Bulgaria offers preparatory courses for both subjects. Starting from the third year, medical students at Sofia University practice at two hospitals in Sofia where they meet patients and show what they have learned during all practicals. Each specialty at Sofia University St. Kliment Ohridski has different entry requirements. These may include an interview, writing an essay, sitting an admission test or having certain grades in your high-school diploma. As for Medicine in English at Sofia University St. Kliment Ohridski, it is required that you sit an admission test in Biology and Chemistry. The tests are usually held in September - a month before the start of the academic year. As for tuition fees at Sofia University St. Kliment Ohridski, they also vary according to the specialty you are interested in. International students at Sofia University usually pay around 4000 Euro per academic year. If you want to study Medicine at Sofia University, you have to pay 7700 Euro tuition fees per academic year. The tuition fees are for both EU citizens and citizens of countries which are not a member state of the European Union. Full-time students at Sofia University St. Kliment Ohridski are allowed to apply for a student loan. They must apply at a bank in Bulgaria, submit several documents and wait for the bank's approval. Scholarships are also available for students with great grades in University and high-school. Where is Sofia University located? Sofia University St. Kliment Ohridski is located in Sofia, the capital of Bulgaria. This means that you will meet many other international students because of the other Bulgarian universities located in Sofia - Technical University Sofia, Medical University Sofia, etc. Also, there are many clubs, cafes and restaurants that attract students in their leisure time. Sofia has a big international airport so it is highly likely there is a direct flight to your home country! Also, the location of Sofia University St. Kliment Ohridski is perfect - it is close to the city centre, right next to Sofia University metro station. Also, the Borisova gradina park and the National Assembly of the Republic of Bulgaria are within 5 minutes walking distance away from the university. How does the average day of a Medical student at Sofia University look like?